Calling all armchair detectives! There’s a new pair of mystery authors in town who are ready to put your best sleuthing skills to the test. 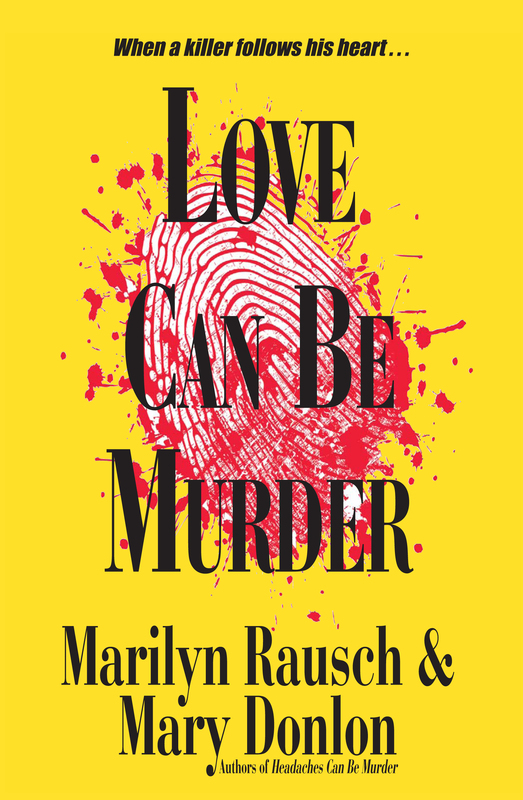 Marilyn Rausch and Mary Donlon share insights, wisdom and wit on the collaborative process behind their “Can Be Murder” trilogy. Q: Tell us about your respective writing backgrounds and why you decided to become co-authors. Q: Do you have favorite mystery authors whose storytelling styles you especially admire? Q: For your co-author projects, who brings what talents to the table in terms of dialogue, character development, research, etc.? Q: How, exactly, does your collaborative process work when a new project begins? For example, are you always in the same room, do you email each other, do you brainstorm at the local coffeehouse? Q: The two of you have taken a unique approach in your projects – a novel-within-a-novel format wherein the protagonist, a novice crime writer, infuses his novels with real-life crimes going on around him. What inspired you to come up with that style of storytelling? Q: So give us a hint what your latest books are about. Q: What are the advantages and disadvantages of working with a partner? Q: How do you resolve your creative conflicts and artistic differences? Q: Tell us about your research process. For instance, do you do all of the research prior to starting the story or do you look things up as the need arises? Q: Do you allow anyone to read the book while it’s a work-in-progress (i.e., friends, relatives, critique group members) or do you make everyone wait until it’s all finished? Q: What governed the decision to go for a series rather than stand-alone titles? A: During the first meeting with our publisher we were apprised of the potential of a series. Mystery/thriller readers seem to clamor for series, so it was a natural outcome of our first story. Q: If your book series was adapted to a television series, who would comprise your dream cast? Q: At what point in the writing process did you start thinking about finding a publisher? Q: Tell us about the publisher you chose and whether the experience met your expectations. Q: Now that the books have been published, what are some of the steps you’re taking to market them? Q: What responses have you had from your readers? Q: What advice do you have for wannabe writers who want to follow in your footsteps? Readers can learn more at http://rauschanddonlonauthors.com/.